Here are just a few of the many members who have written to thank Cambridge Who's Who for the ways that membership helps them gain credibility, network with their peers and enhance their careers. When you become a member, we will be happy to help you do the same. How do I get my success story published? We would like to hear from our members. If you have a success story you would like to share, please contact us at success@cambridgewhoswho.com. Please attach your company logo or a photo if you wish to have these published along with your testimonial. “My inclusion in Top 101 Industry Experts has increased my publicity. I feel better and this responsibility gives me more energy to work hard to complete my research on male contraception and genetic infertility in the near future. Additionally, I find the other expert biographies and interviews to be interesting. I would like to take this time to thank you and all of your team members for doing such a professional job regarding my news release. I have had a lot of great feedback and support since the release was made including people I haven't heard from in years to new folks just passing congratulations along. It was very professionally handled and written from start to finish. The energy it brings has inspired me to dig deeper within my community and evaluate other opportunities in all-out effort to make a difference. I look forward to all of the additional pieces that such an offering presents including the plaque and registry to name a few. All will make interesting conversation pieces and bring hours of fulfillment in years to come. To you and all of your team members, a blessed day and many thanks! Very well done and it will be treasured for a life time! "I am happy and impressed by the way that Cambridge Who’s Who treats its members. Being recognized for my achievements and earning this honor has given me the inspiration to be more caring towards my patients and fellow men. It has motivated me to continue to strive for excellence both at work and at home all for the greater glory of God and country. As I begin to network with other members with various fields of expertise, I will surely gain more knowledge and insight. Cambridge Who’s Who is like a family getting to know each other. It builds relationships, unity and camaraderie." "I am sending you this e-mail to give praise to Felicia Henderson & Christine DiGiacomo. They have been a great help in answering my questions concerning my biography for the registry. They were very kind, considerate and patient with my many questions. They are an asset to Cambridge Who's Who!" "Being a member of Cambridge Who's Who has opened many doors for networking opportunities and the sharing of ideas with other members in a variety of professions. I have recently made contact with a few members who are seeking my services, and some of those have been from the press releases that Cambridge has taken the time to share with the business world. Cambridge is a great place to share events, read about other members and their interests, and to learn about opportunities for growth. I have truly enjoyed exploring the many assets that Cambridge members have access to and look forward to sharing the growth of my business with members for years to come. Thank you Cambridge, for recognizing my accomplishments and providing this valuable networking opportunity!" "You shared exciting and wonderful news with me! This is such an honor to have bestowed upon me. I still can't believe it. Receiving this recognition is going to further intensify my drive towards pursuing my goals because I know that in my field that I'm going to inspire others. Thank you so much to the Cambridge Who's Who organization." "I am sincerely grateful for the support Cambridge Who's Who has shown towards Learning Prep School. We are honored to be a part of the Cambridge Who's Who network and would be thrilled to continue working with your team for future events. I, also, will continue to be an active member of your community and look forward to utilizing Cambridge Who's Who Connect as a fantastic opportunity to be a part of Cambridge Who's Who." "I enjoyed your teleseminar. I found it convenient, informative, and a great way to learn. Other sites have offered me online conferences, but they are scheduled during my work day and I cannot attend during that time. Your conference was scheduled at a time that professionals can attend and the process was easy and fast. Thank you for the great experience and I would love to attend another one should it be available in the future." "As a new member to Cambridge Who’s Who I was immediately impressed with the caliber and range of people I now had the opportunity to interact with. The Cambridge staff could not be more polite, well versed, dedicated and dependable, it’s easy to see how a person could flourish and grow personally and professionally with them supporting you. When I started looking through the member directory, I was amazed at the expertise and diversity of this prestigious group. I am not only honored to be included, but as one who always welcomes a challenge, I find myself raising the bar of my own standard level to maintain my place among this impressive group. What a phenomenal “club” to belong to in order to share and grow together! 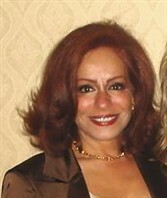 As the character I’ve created “Contessa” says…”Quality must first manifest itself within our own person before we can expect to find and experience it in others.” I strive to produce the highest quality skincare products, apparel, greeting cards and entertainment and I have no doubt that I will achieve that goal with the assistance of Cambridge Who’s Who and my fellow members. 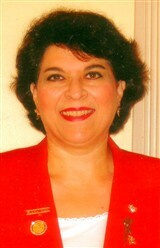 I invite you all to visit both “Contessa” and I at www.contessaknows.com for a realistic view of love, life and more!" "I was thoroughly impressed with the customer service of Cambridge Who's Who. They listened to my situation and custom tailored a solution to fit my needs. I know that I will be a long term client because they truly do care about the person." “When asked to describe Cambridge Who's Who and the value that membership has provided for me, the word awesome comes to mind. I recently submitted my biography and resume to a pageant committee to determine my eligibility to become a judge. The Cambridge Who's Who name was instantly recognized and I earned the position. "When I became a member of Cambridge Who's Who, I had many questions regarding my membership. It was a pleasure speaking with both Mo and Michelle to get my questions answered. Mo in member services was extremely helpful and when my computer was not responding correctly, Michelle in technical support helped me to gain access to www.cambridgewhoswho.com so that I could start networking. Mo and Michelle were extremely patient and professional. Before hanging up I asked to speak with their supervisor to explain how well-trained and helpful they were. I have done this many times when people have gone beyond giving routine responses. I also appreciated their enthusiasm about my approach to literacy simplification and acceleration. Please feel free to visit my website, www.teachtwo.net, where our philosophy is, 'Working together we can begin to wipe out low literacy.'" “Cambridge Who's Who membership has provided an endorsement that has elevated my status as a professional. I always tell my clients that I am a Cambridge Who's Who member, the prestige and credibility of the Cambridge Who's Who name has opened new doors for me and my company SIMPLEnetworking, LLC. Business consulting and instruction is a competitive field and a third-party endorsement is invaluable. I recently had the pleasure of working with Cambridge Who's Who representative Michelle Lee regarding my Featured Business article in the upcoming Cambridge Who's Who newsletter. Michelle is prompt, clear, precise and accurate in her work. The entire experience was handled in the most professional way." "I wanted to write to Cambridge Who's Who regarding the outstanding service provided by Daniel Metzger. I had the opportunity to speak with him regarding some concerns I had, and I really appreciated how great he was dealing with my questions, his exceptional follow-up, even with my crazy schedule, and how professional he was to work with. I really value customer service in a company, and I hope that Mr. Metzger is rewarded for being such a great asset to Cambridge Who's Who." "Cambridge Who's Who has been a terrific resource for generating new business for my company, Seed the Harvest Time Consulting. I originally opted to try out Cambridge Who's Who's services for one year. In January of 2008, I contacted my representative to renew my Cambridge Who's Who membership and am now a Lifetime member. Thanks to a complimentary business listing in CamBiz™ and a rotating advertisement on the members'-only pages of www.cambridgewhoswho.com, I have received both emails and phone calls soliciting my services. In today's challenging business environment, networking is the best tool available. As a grant writer for non-profit organizations, my membership with Cambridge Who's Who has provided me with both leads and new business." "It is a pleasure to be a member of Cambridge Who's Who and it is a honor to be recognized for my accomplishments. The staff at Cambridge Who's Who has always been attentive to my needs as a member of their organization. I was chosen to be a part of their Corporate Giving Program because of the physical ailments that I suffer from that are brought on by muscular dystrophy. My artwork is my only source of income to accommodate for the overwhelming expenses that are associated with the disease. Cambridge Who's Who has not only met my needs as a professional artist but has also as an individual. Cambridge Who's Who has issued a press release that can be viewed at http://www.prweb.com/releases/2007/2/prweb504490.htm. It details how I design my artwork and how to purchase any of my original pieces. My artwork is available at http://www.webmania.co.za/webmania/jpdobranic." "I am a deaf and paraplegic internet marketer who has decided to help other disabled people. I own four websites, including two add-ons and parked domains. Since becoming a member of both Metropolitan Who's Who and Cambridge Who's Who Among Executives and Professionals, I have become a voice for disabled people in Ventura, California, and I am able to help others. My website is profitable, and I am helping others become financially independent, which makes me feel like I am once again able to contribute to society. And, I can say that this feeling was made possible by my acceptance into both registries. I am extremely grateful to Cynthia and the staff at Cambridge Who's Who, for allowing me this opportunity to communicate with so many members. Thank you all." "I used the member search function on the Cambridge Who's Who website and found several professionals in the supply chain sector familiar with MRO (maintenance and repair operations) systems. My conversations with them allowed me to advance my own work in that field. Because of my Cambridge Who's Who membership, my project was completed more rapidly and at less expense than it might have otherwise. I also find it very interesting to read the bios of other members-the variety of accomplishments is amazing." "A Who's Who member I found in Cambridge's database told me about the National Association of Women in Construction, which I have joined. My company manages workers’ compensation and payroll for construction companies, so membership (in Cambridge and the NAWC) is a great source of potential business. Through informal conversations and speaking engagements, I hope to let construction companies know how Matrix can reduce their costs, since construction is one of several industries that carry high risk management costs." "My Cambridge Who's Who membership has turned out to be a great business tool. We sent a targeted email to about 1,500 members who seem to be likely candidates for our foreign language services. So far, we’ve received more than 100 replies from potential clients as well as companies that provide services our business could benefit from. The synergies are almost endless!" "Membership in Cambridge Who's Who is recognized as a mark of excellence in one’s profession. For people who benefit from third-party recommendations of their work, that kind of recognition is invaluable. In promoting my website, www.helpwithteenagers.com, my book, “Help Me with My Teenager,” and my consulting business, I always mention my Cambridge recognition, because it helps to open doors I want to go through." "To pepare for a business trip to Reno, NV, I used the Cambridge Who's Who Registry to identify members who would have an interest in a concept I’ve been developing: Business and Marketing Tridents. I contacted my fellow honorees, and they were more than willing to meet with me. If we had not had Registry membership in common, they probably would not have met with me so readily. It looks like we will be working together on some projects, and I have the Registry to thank for making the initial contact so easy!" "As a poet, former USO entertainer, and avid volunteer, I’ve lived a very rich life so far, and I’ve always believed that people who willingly give of themselves reap great rewards. One of my rewards is the recognition I received from Cambridge Who's Who. It helps me help others even more, because it speaks to my credibility as an effective volunteer for non-profit organizations." "I joined Cambridge Who's Who because of the honor of being recognized for my accomplishments, but I have received much more from my membership. Cambridge Who's Who staff members respond to my requests promptly, provide me with all the information I seek, and are always there to help me get the most out of my membership. I’m a private duty nurse, and I’ve been fortunate enough to find a role in life that combines healthcare with my expertise in executive and personal protection as well as criminal investigation. I enjoy networking with other Cambridge members in health care who want to expand their career horizons." 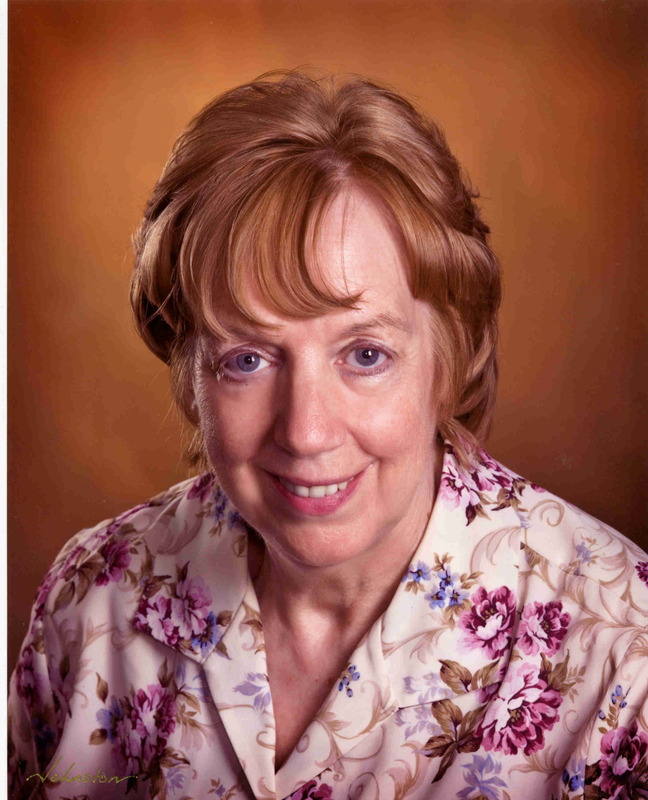 Loretta Walsh, RN, MSN, M.Ed. "I’ve been a member of Cambridge Who's Who since 2004. Whenever I call my representative, Carole Armstrong, she is available for me and gives me the help I’m looking for. Carole and another Cambridge employee, Victoria Mitchell, always put the human touch on our business dealings. It seems to me that the Cambridge “signature” is going out of their way to be helpful to their members. More good people like them are needed in this world. Keep up the wonderful work!" "It's a pleasure to be a member of Cambridge of Who's Who. I have had a completely positive experience with this association. You all have been informative, helpful, and professional and maintain a friendly approach in communication. It's evident that all involved maintain customer service as the number one goal; a goal that has been met one hundred percent. I am a very satisfied customer."